I love this book! Aimed at kids, its a cool book about how Roman cities were built. If you like it, check out the PBS show that Macauley did, too. 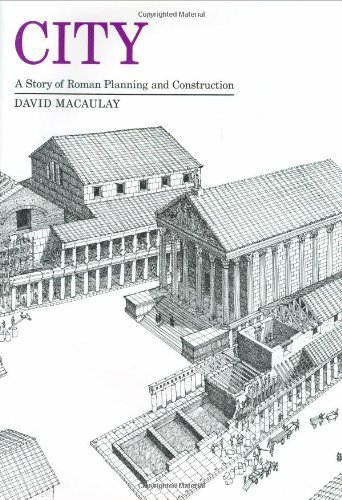 Visually impressive and concise, it explains why many of the Roman ruins still stand. You also see how many of their techniques persist today, such as curbs, sewers, and grid-based layouts. It's meant for children, but I think most adults would find it interesting. Nice, easy, somewhat overdue research for the story I'm working on at the moment. It's a great peek into ancient technology and everyday life with a glimpse of politics, too.